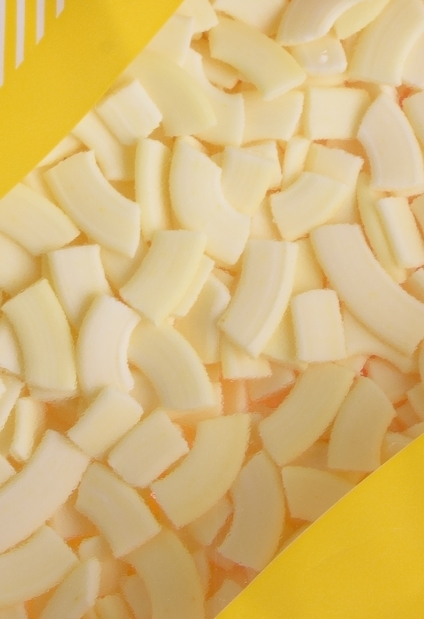 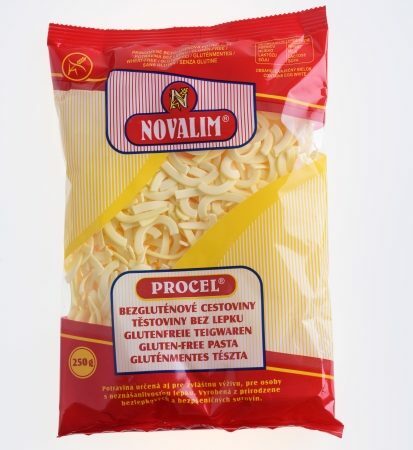 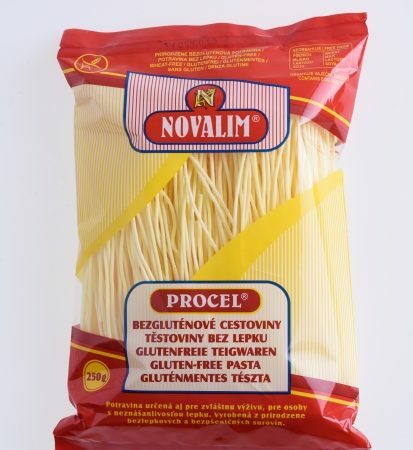 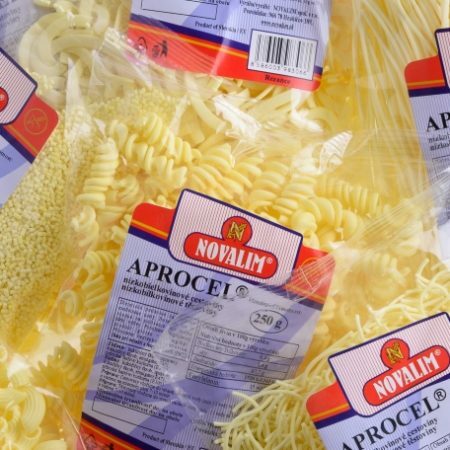 PROCEL ® – the standard pasta from maize starch containing egg whites with natural colouring from curcumin. 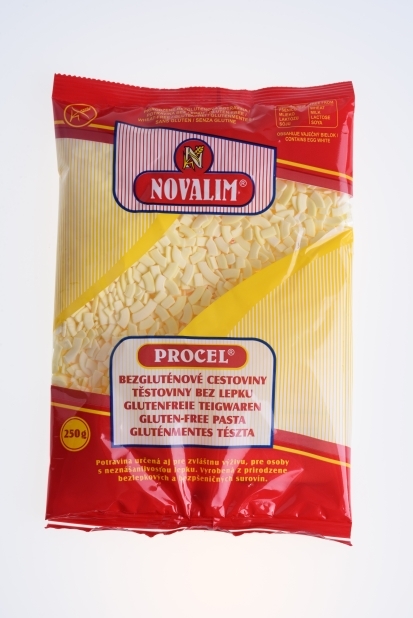 Made from naturally gluten-free and wheat-free ingredients. 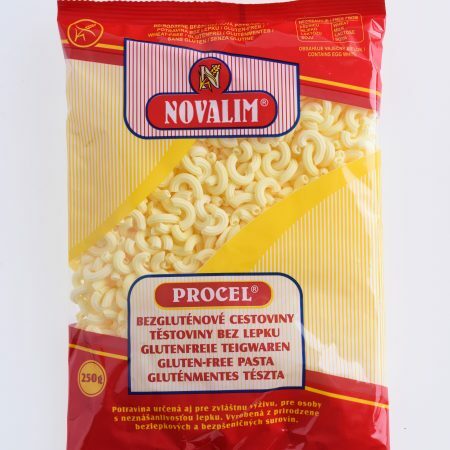 Recommended use in gluten-free diets. 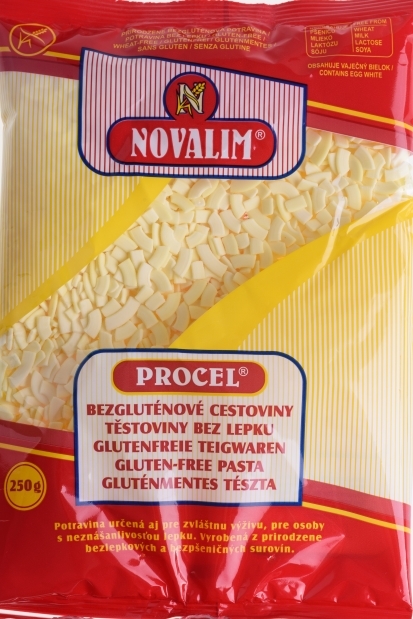 Ingredients: maize starch, egg-white powder, emulsifier: mono and diglycerides of unsaturated fatty acids, natural colouring agent turmeric.